The state’s latest Drug Take Back events held last month collected a record amount of medications. 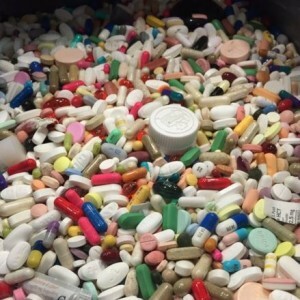 The state Department of Justice says 66,039 pounds of old drugs were deposited at more than 300 collection sites around Wisconsin on April 29. Those drugs are collected, and then destroyed, to prevent them from falling in to the hands of people who may try to sell or abuse them. Attorney General Brad Schimel says the take back events, held twice a year in the state, help prevent opioid and other prescription drug abuse. They also protect the water supply be keeping unused pills from being flushed down the toilet or sent into landfills. Schimel notes 70 percent of initial painkiller abuse starts when drugs are obtained improperly from family members or friends.